Stage Angel • $1000 Perfect for businesses or large groups. Eight season tickets and recognition in lobby for all 5 regular season shows, plus 8 tickets to Music, Monet & Margaritas in the spring. Executive Producers • $600 Four season tickets with guaranteed seat selection, four Music, Monet, and Margaritas tickets and listing in all regular season programs. Producers • $400 Two season tickets with guaranteed seat selection, two Music, Monet and Margaritas tickets and a listing in all regular season programs. Directors • $250 Two season tickets with guaranteed seat selection, one Music, Monet, and Margarita ticket, and listing in all regular season programs. Stars • $150 Two season tickets with guaranteed seat selection and listing in all regular season programs. Regular Season Tickets • $60 Guaranteed seat-selection for the entire season, all tickets mailed direct before the first play (a 39% savings over individual tickets). Wild Card Season Tickets • $55 Wild card seat selection, priority seat reservation, maximum flexibility in attending TCT productions (a 44% savings over individual tickets). Ticket Pickup Deadline: – While we are glad to hold tickets for you, all held tickets must be paid for at least twenty-four (24) hours in advance of the performance. After that time they will be released for sale to someone else. Of course, you can still send in a check or call in your credit card information and pick up your tickets at the Will Call window. Subscribers choose their own reserved seats before single tickets are made available to the general public. Subscribers have advance opportunities to renew their season tickets, guaranteeing the best possible choice of seats. Subscribers also have advance opportunities to reserve tickets for the Theatre’s special productions. 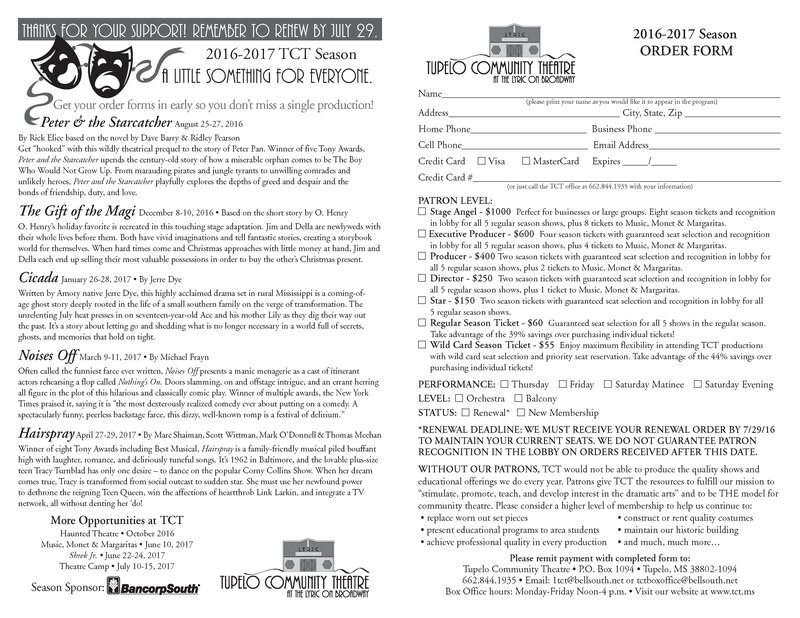 TCT’s newsletter, along with notices of upcoming events, are mailed directly to you. 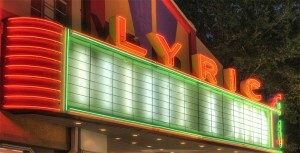 If you cannot attend the play on your selected night, TCT will exchange your tickets for another night at no charge. TCT will also replace lost tickets.